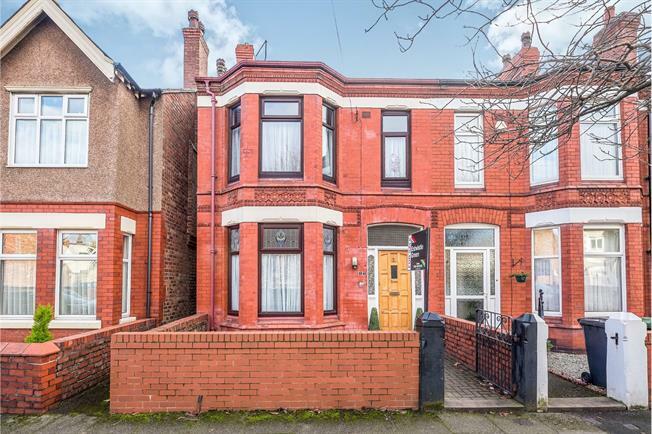 3 Bedroom Semi Detached House For Sale in Liverpool for Offers Over £170,000. Feature character coved ceiling. Feature bay window. Fitted wall and base units with complementary work surfaces. Window and door to rear. Feature bay window to front. Modern fitted bathroom comprising; white panelled bath with electric shower over. Low level wc. Wash basin. Slate floor tiling. Wall tiles. Double glazed window to rear.